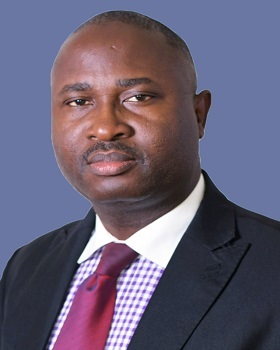 Ben Omotomiye is the Group Head of Finance and Admin of ARCO Group. He obtained a B.Sc (Hons) degree in Accounting from the University of Calabar in 1998. He is an Associate of the Institute of Chartered Accountants of Nigeria (ICAN), a Member of the Nigerian Institute of Management (NIM) and obtained a Certificate in Strategic Human Resource Management from e-Cornell University, USA. Mr. Omotomiye has a rich experience across several sectors of the economy ranging from financial accounting, auditing and human resource management. He was at various times a Senior Accountant with Redial Circle Telecom Ltd, Head of Internal Audit of ARCO and Finance Manager of ARCO. His excellent inter-personal skills have helped in the delicate relationship with NUPENG and PENGASSAN.